On July 14, 2015, Iran and six world powers known as the P5 +1 (China, France, Russia, the United Kingdom, the United States and Germany) reached a historical nuclear deal that limited Iran’s nuclear program and provided for enhanced monitoring in exchange for relief from nuclear sanctions. Prior to that, for more than two decades Iran had been engaged in an effort to acquire the capability to build nuclear weapons. Although the deal was reached, it remained uncertain whether Iran would in fact comply with the terms of the deal achieved with the P5 +1. Critics of the deal remained skeptical about the long-term monitoring ability, unity of the P5 +1 in the event of breach by Iran, and whether Iran’s covert nuclear program was also discontinued by the deal reached between the parties. President Obama and Secretary Kerry not only faced domestic criticism for the deal but also faced significant pushback from their Middle East allies. In fact, Israel went so far as to meet with the Republican-led Congress without first consulting with the president; breaking decades of international protocol for addressing the government body. Fast forward to January 16, 2016, the IAEA finally verified to the P5 +1 that Iran has met its nuclear related commitments, triggering the lifting of sanctions, releasing hundreds of billions of dollars in frozen Iranian assets, and ushering in, what appears to be, the start of Iran’s reentry into the community of nations. Some would say, and probably rightly so, that Iran meeting its commitments and triggering the lifting of sanctions was proof enough of the success of President Obama’s strategy of patient-diplomacy. 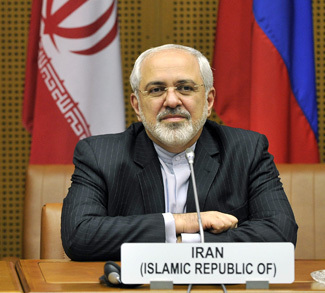 However, days before the sanctions were lifted, to the surprise and elation of many, Iran’s foreign affairs Minister, Mohamed Javad Zarif, and US Secretary Kerry announced the release of prisoners held by each country. The world learned that for the year leading up to the lifting of sanctions, the US and Iran had been in secret negotiations for the release of prisoners of each country held by the other. 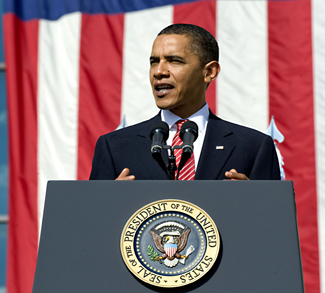 Supporters of President Obama pointed to these outcomes as proof of the success of diplomacy. People started to use terms such as rapprochement and reconciliation when referring to the two countries. Before ink on paper could dry, oil companies in Europe were signing deals with Iran and Iran was out shopping for much-needed infrastructure and equipment. The president of China, Xi Jinping, became the first member of the P5 +1 to visit Tehran post sanctions lift. The United Kingdom initiated discussions with Tehran to reopen the British Embassy in Iran, Canada initiated lifting of sanctions and normalization of relations and the American press began to write about a potential new era in US-Iranian relations. 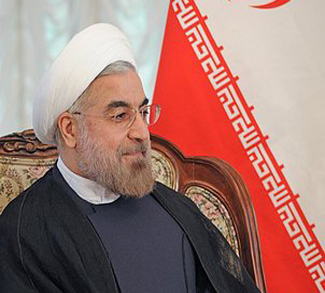 Iranian President Hassan Rouhani visited Italy on January 26, 2016 and is on his way to France. Italy has agreed to sign $18.4 billion in energy and infrastructure deals. In reading all this, one cannot help but be reminded of a similar approach undertaken by another US president decades ago that, for all accounts, while similarly resisted and criticized at the time, proved to be an immensely successful strategy. 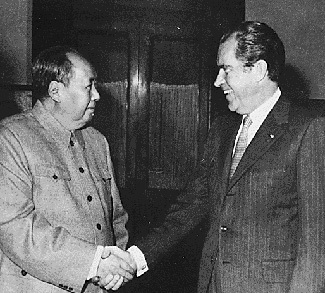 In 1972, following his own secret talks and negotiations, then President Nixon and his secretary of state Henry Kissinger shocked the world by becoming the first American sitting president to visit the People’s Republic of China and meet with Mao Zedong, the chairman of the Central committee of the Chinese Communist Party. The meeting between the two leaders occurred at a time when the two countries had no official diplomatic relations; much like Iran and the US since the embassy hostage crisis in Tehran. Over the course of the visit, the two governments negotiated the Shanghai communiqué, an important step toward improving relations between the two countries. At the time of this meeting, much like the pushback and criticism faced by President Obama, Nixon’s own inner circle thought he had gone mad. Even Kissinger was initially skeptical of Nixon’s strategy, though eventually became one of its biggest supporters. Moreover, much like the American allies and partners in the Middle East are reacting to the US-Iranian rapprochement, the United Kingdom had become furious with Nixon for not discussing this policy shift with them prior to the meeting. While clearly not evident at the time, Nixon’s strategy was a masterful adaptation of Roosevelt’s big stick ideology, which postulates the use of gentle coercion with the subtle threat of the military option. While some suggest this ideology is rooted in Machiavellianism, needless to say, the strategy, as applied by Nixon’s rapprochement with China, has proven to be one of the American’s greatest geopolitical achievements of the past 40 years, a testament to the real strength that America wields. A critical factor in China opening to the rest of the world was, in part, Nixon’s rapprochement. Today China is the second largest economy in the world and has a middle-class approximately the size of the US population. The wealth created in China has resulted in increased foreign investment and exports to that country that might not have otherwise been seen but for the fact that China has been gradually opening up its markets, modernizing the country, and its institutions. China has helped many people become wealthy and not all of them are Chinese nationals. While this modernization and capital market reform may have eventually happened anyway, there is no doubt that Nixon’s rapprochement was an important factor that initiated China’s reform and modernization. This glowing assessment is not to suggest in any way that China’s modernization has not been without issues. To begin with the country is still run by a communist party with an unflattering human rights record. There is rampant corruption, weak legal and property rights, and income disparity between rural and urban that cannot easily be reconciled. China continues to bully its neighbors, is unwilling to recognize certain territorial sovereignties, and most important to the Americans, is challenging US military power in the South Pacific. Despite of all this, China continues to march towards modernization, capital market reform and improving its institutions. In fact, it may be argued that China’s slow and methodical approach to reform and modernization is wise; least we forget the disastrous attempt made by Boris Yeltsin in the 1990s to reform Russia’s capital markets and governance overnight. The leaders of China are well aware that if they truly want to be a global power, fully integrated in the community of developed nations rather than remain a developing nation, they are going to have to fully modernize their capital markets, institutions and most importantly their form of government. Such modernization and reform could only be a good thing for Western democracies and developed nations. While Western democracies and developed nations may compete with one another in this global economy they don’t fear or mistrust each other. This is because countries with strong human rights and individual freedoms, open capital markets, value for property rights and rule of law, strong social infrastructure and institutions and governance systems that encourage participation by even the most disenfranchised members of society are stable and good for maintaining global order and security. Simply put, capitalism and democracy, in all its permutations and variations, with all its criticisms and detractions, is good for the world and China “IS” moving towards this. Moreover, it cannot be emphasized enough that Nixon’s rapprochement was and will continue to be integral to this transformation by China. So how does all this relate to Obama’s strategy of rapprochement with Iran? Well imagine the possibilities for the US and the world of a modernized and reformed Iran. Imagine the Middle East landscape where Iran has its own form of democracy (taking into account its governance is founded in theocracy) and open capital markets, greater respect for property rights and the rule of law and greater human rights and individual freedoms. Besides Israel, if there is another country in the Middle Eastern region that is capable of such reform and transformation it is Iran. That country has a more educated population, greater cultural diversity, is more technologically advanced, has greater commercial infrastructure, and, as weak and meaningless as it may currently be relative to Western and developed countries, has social institutions and governance structures better than its neighbors. The simple fact is that there is no other country in the Middle East that is as primed and ready to take its first steps towards entering modernization and reform. While the Arab Spring may have failed, that failure supports the thesis put forth by my previous article on Geopoliticalmonitor.com. Put another way, what would the Americans have to lose by engaging Iran the way Obama has? There is no one in this world that doubts the ability of the Americans and their military options as they relate to Iran. As Pat Buchanan once stated, “the American sixth and ninth fleet could decimate Iran over a weekend.” Exaggerated perhaps, but point well taken. Why then not take the Nixon approach? It would allow the US to focus on its Asia pivot, knowing that an area of the world that is strategically important to the U.S. and its allies is a little bit more stable and secure. We need not be reminded of the failed policies of the U.S. as they relate two their current allies in the Middle East, and the fact that every terrorist act against the United States that has originated in the Middle East has been perpetrated by Arab Sunnis, not Persian Shias. This is a historic opportunity for the U.S. to once again show that it is its diplomacy, not military, that is its true strength.